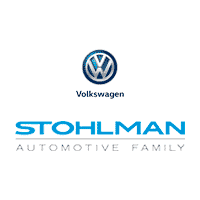 Save on Volkswagen service, parts, accessories, and even repairs with OEM specials at Stohlman Volkswagen. In addition to the fantastic event promotions below, our dealership offers a number of coupons for your benefit. You are sure to find the perfect service related discount for you and your VW. We regularly provide peace of mind for Volkswagen service customers from throughout the Tysons Corner area and beyond. Bring your car or SUV in to see our team today! Your Volkswagen model needs regular maintenance like oil changes and brake repair to stay in proper working order. However, maintenance and parts replacements can add up. Luckily, here at Stohlman Volkswagen, we offer a rotating selection of auto repair coupons so you don’t have to dread getting your car serviced. From tire alignments to brake service and repair, you can place your confidence in the experienced technicians at the Stohlman Volkswagen service department. After you’ve taken the time to browse our Volkswagen auto service specials online and learn more about our service, schedule service today and make your way from Vienna to Stohlman Volkswagen! Free estimate provided on need Service & Parts. *See your Volkswagen dealer for details.